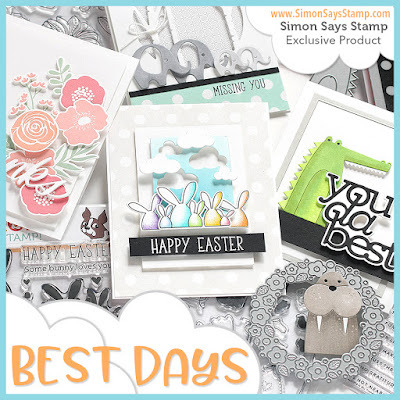 The latest Simon Says Stamp 'Best Days' Release has just been published!! It is fill of all things fabulous! Definitely one of the best releases ever!! I cut the elephant out of Fog Grey Card Stock and used an embossing tool to round him off a little bit. I cut an extra ear and moulded that a little bit too.